ANN ARBOR, Mich. - Michigan basketball is off to the best start in program history, winning its first 17 games and sitting at No. 2 in the AP poll more than halfway through the regular season. The Wolverines are one of two remaining undefeated teams in the country and have won 31 of 32 games dating back to last season. Michigan's only loss came to Villanova in the national championship game. 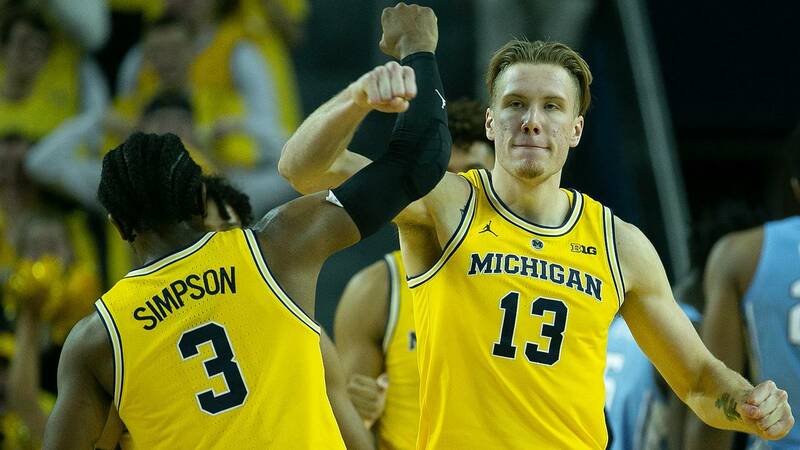 It's been an incredible run for John Beilein's team, which won its second consecutive Big Ten Tournament title and reached the Final Four last year. 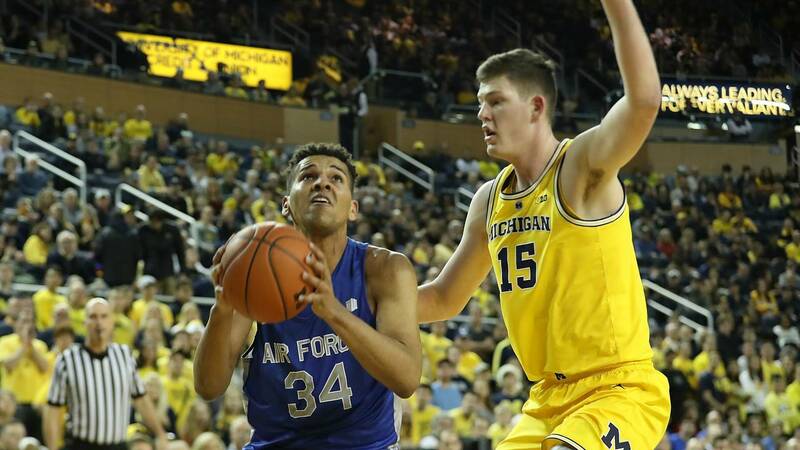 Despite being overlooked in the preseason, Michigan is putting its stamp on this season and appears to be a lock for a great seed in the NCAA Tournament. The schedule is about to get much more difficult, though -- perhaps as difficult as Michigan's NCAA Tournament run last March. 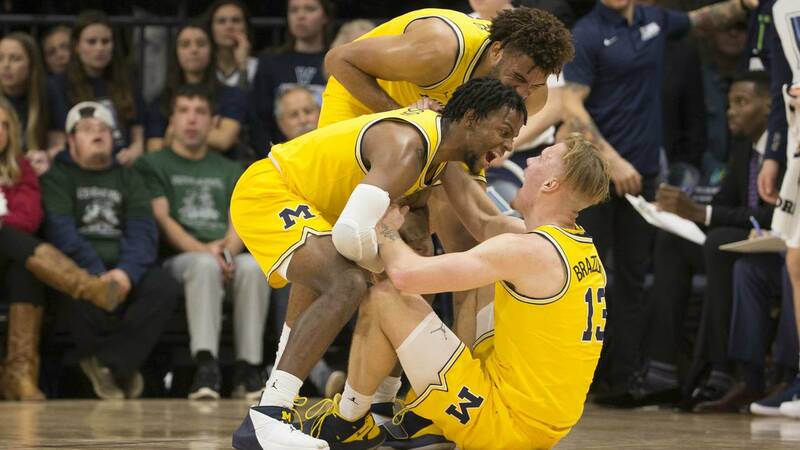 Through the first 17 games, Michigan has played four games against teams likely to be in the NCAA Tournament as at-large bids -- Villanova, North Carolina, Purdue and Indiana. In the final 14 games, Michigan will play 12 such teams. The Big Ten has two locks to make the NCAA Tournament in Michigan and Michigan State, but there are eight other teams that have a good chance to make the tournament barring a collapse in conference play -- Maryland, Minnesota, Indiana, Wisconsin, Purdue, Iowa, Nebraska and Ohio State. Nine of those teams -- excluding Minnesota -- are ranked in the KenPom top 35. 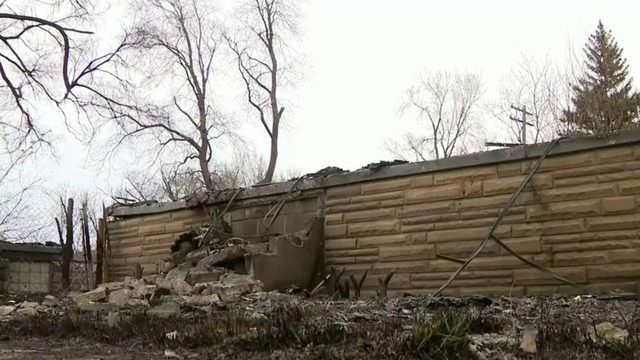 Minnesota is No. 53. So far, 13 of Michigan's wins have come against teams ranked No. 58 or lower in KenPom. North Carolina, Purdue, Villanova and Indiana all rank in the top 25. The Wolverines will play eight more games against teams ranked in the top 25 of KenPom. The first difficult stretch begins Saturday, when Michigan travels to Wisconsin for what will likely be the most difficult test so far. The Badgers are the third-best team in the Big Ten, according to KenPom, and are always difficult to beat in Madison (though Minnesota and Purdue have both already done so this month). Michigan will then return home against Minnesota, travel to Indiana, play its only matchup with Ohio State at home and then travel to Iowa. Minnesota is a 13-3 team playing its best basketball in January, Indiana is undefeated at home and Ohio State is a talented, desperate team. Even Iowa has righted the ship, beating Nebraska, Northwestern and Ohio State to improve to 14-3. Even the two games Michigan will play against non-NCAA Tournament teams won't be easy because they're both on the road. Rutgers has already upset Ohio State on its home court this season, and Penn State is No. 61 in KenPom. Michigan finishes the season with a brutal four-game stretch, playing Michigan State twice, Nebraska at home and Maryland on the road. 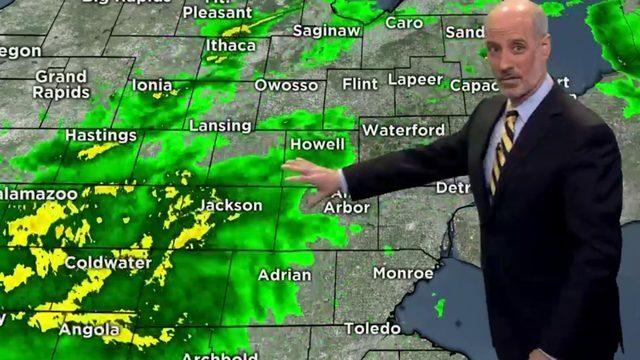 Michigan State is the No. 3 team in the country, according to KenPom, while Maryland has won five straight games to take over sole possession of third place in the Big Ten. KenPom ranks Nebraska as the No. 15 team in the country. Those are four of Michigan's six toughest remaining games, and they'll all come in a 14-day span. The Big Ten is the deepest conference in terms of NCAA Tournament-quality teams, so the schedule was never going to be easy. Michigan's first six conference games just happened to include four matchups with the four teams that aren't competing for NCAA Tournament bids. 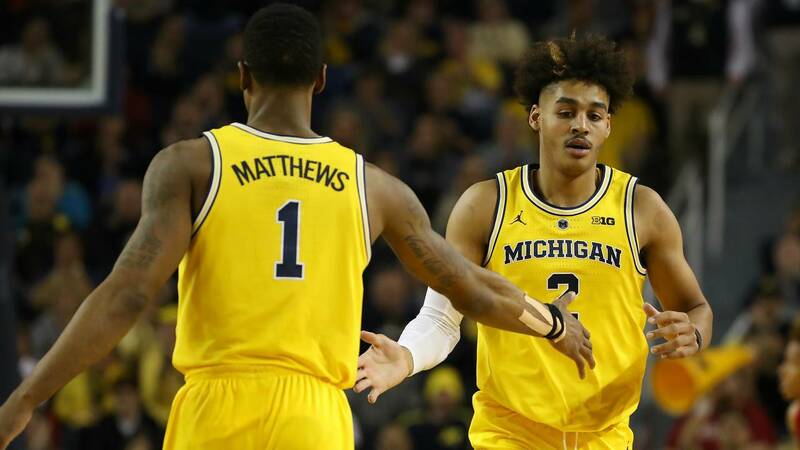 Nobody believes Michigan basketball will go undefeated, but a Big Ten regular season title and a top-two seed in the NCAA Tournament are realistic possibilities. If the Wolverines want to achieve those goals, they'll have to earn it against a schedule that doesn't have any breaks for the next two months.